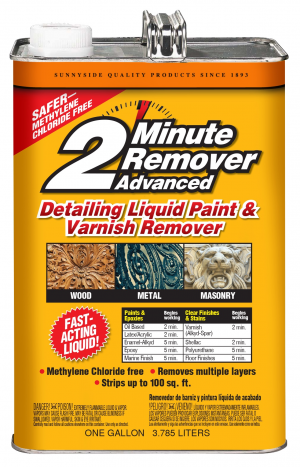 2-Minute Remover ADVANCED stripping gel is designed to remove multiple layers of finish in one application. 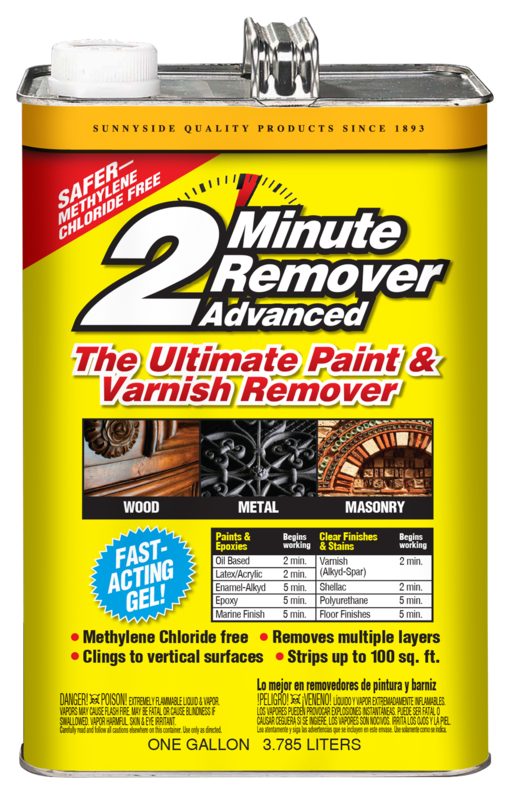 This Methylene Chloride Free, semi-paste formula clings to rounded and vertical surfaces to make paint removal easy. 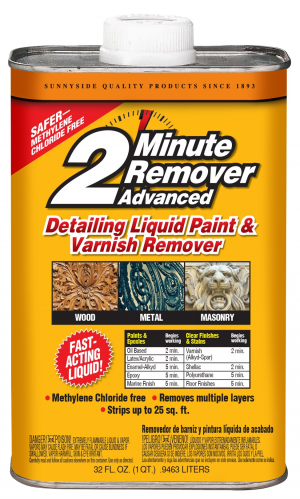 It quickly attacks the finish and lightens wood stain but will not harm wood or corrode metal. 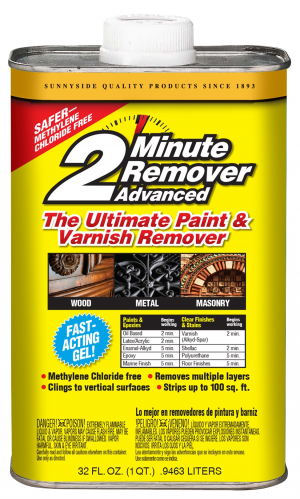 Use on wood, metal, masonry, marine and automotive finishes removing latex and oil-based paint, lacquer, shellac, varnish, epoxy and polyurethane finishes.